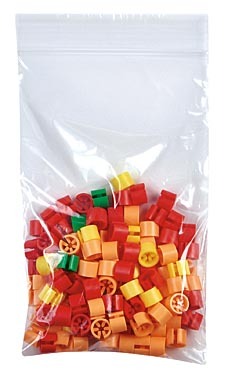 5" x 8" All-clear Resealable plastic bags are perfect for loose items such as jewelry or beads. Resealable bags carry a wide range of uses and allow great protection from the elements. A thick reseal band will keep whatever you put inside the bag secure without fear of leakage. A storage room staple, these bags are great for overflow merchandise in your store or at home. A must have to stay organized.